Our client required a fun bedroom for their young son that allowed maximum play space and could still be kept “relatively tidy”. The jungle theme of the room played to the young occupants love of all things exotic. 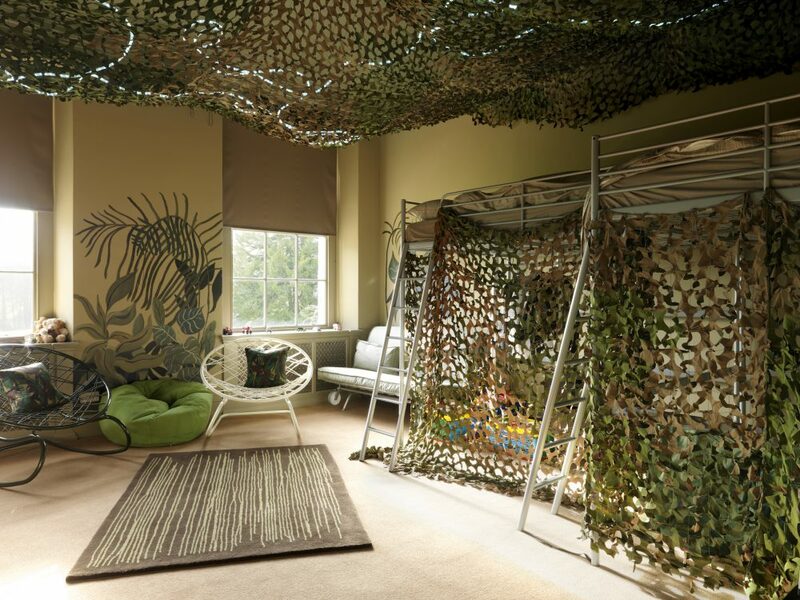 We decorated the walls with hand-painted murals and created camouflage bedding areas that afforded maximum fun and sleepover potential, as well as keeping everything looking neat and tidy. Overhead lighting was created with LED fitments hidden behind retro camouflage netting to give the effect of sleeping out under the stars.